The Future of Education Technology Conference (FETC), held last month in Orlando, attracted thousands of educators from around the world. This massive conference included hands-on workshops, presentations, exhibitors and social events to connect educators to new ideas about how to enhance learning in their classrooms. At this event, inspiring speakers shared their stories to push the narrative on education technology. 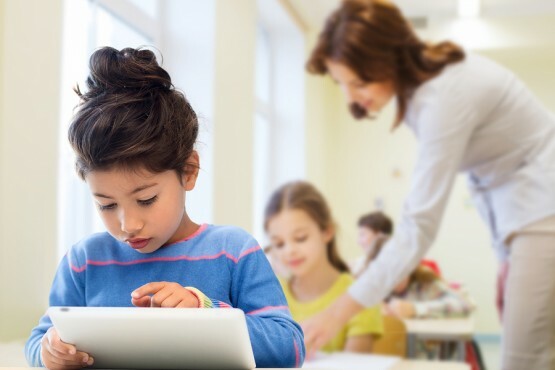 Three trends emerged: the merging of technology and hands-on learning, a renewed interest in augmented reality and the sharing of Future Ready resources from the Office of Education Technology. The exhibition hall at FETC was filled with companies sharing products and use cases with educators. Many of these tools are taking students eyes and hands off of their devices. These tools combine the power of mobile technology with hands-on experiences and products. One example is the Ozobot. This robotic tool helps students develop an understanding of coding. Three-dimensional printing was also present throughout the conference. MakerBots were at a few different booths, with many different products highlighting their compatibility with 3D printers. There was also the Zotebook where students use an iPad to design pieces for a three-dimensional sculpture. The Sphero robot was also zooming around the conference center with teachers trying out this codable smart toy. The Office of Educational Technology was also present at FETC. During the conference they hosted a handful of sessions on digital citizenship and cultivating teacher leaders. In addition to walking people through some of the great Future Ready resources on their website, guest speakers discussed the importance of rethinking professional development. One of my biggest takeaways was the idea of micro-credentials, a type of professional development where educators demonstrate mastery of a specific topic. If you haven’t checked out the resources developed by the Office of Educational Technology, you’ll want to take a look. As a first-time attendee and presenter at FETC, I was impressed with the size and scope of the event, yet it did not feel as daunting as some larger conferences. Whether you are a teacher in the region or picking a conference to travel to in 2017, consider adding FETC to your calendar.